March Madness begins Tuesday as several conference tournaments tip off, with NCAA tournament bids on the line. March is now upon us, which means this wild season of college basketball is ready to kick it up a notch. You don’t have to wait for major-conference tournaments to get a taste of the madness, either: 13 conference tournaments start this week and there are all kinds of great storylines, from a team going for its 18th straight NCAA tournament appearance to several teams searching for their first. Here’s a preview of each conference tourney, complete with the favorite, top contender(s) and a dark horse. Conferences are listed in alphabetical order. The favorite: Stony Brook was rolling through the America East until Albany snapped its 18-game winning streak on Feb. 17. It was on the road, so it didn’t seem too alarming until the Seawolves lost by 14 at home to Vermont in the regular-season finale, their second loss in three games. Still, this team dominated its conference and has an excellent forward in Jameel Warney, but Albany and Vermont have showed they are capable of pulling the upset. The good news for Stony Brook is that unlike last year, it will play the entire tournament at home. The contender(s): Albany is looking for its fourth-straight NCAA tournament trip and seems to be peaking at the right time. The Great Danes have won their last four games by an average of 24.3 points and are a group that knows how to win in this tournament. Keep an eye on Peter Hooley, who is back as a senior after his three-pointer in last year’s America East title game won the championship. The sleeper: Vermont doesn’t have anyone averaging more than 12 points per game, but used a very-balanced rotation of scorers to produce the America East’s most efficient and best-shooting offense in conference play. The Catamounts are on a five-game winning streak and have the confidence of knowing that they just easily handled No. 1 seed Stony Brook on the road. The favorite: North Florida reached its first-ever NCAA tournament last year and is back for more in 2016. The Ospreys are a fantastically unbalanced team, with a top-30 offense and a bottom-30 defense. They’re so good offensively that they’ve often been able to overpower opponents, but they also are subject to stretches like their four straight losses in early February, which saw their opponents average 90.5 points per game. With 44.2% of North Florida’s shots being from behind the arc, this might come down to whether its shooting is hot or cold. The contender(s): NJIT had the most efficient defense in conference play, which is more impressive when you consider North Florida torched it for 107 points two weeks ago (the Ospreys shot 22 of 28 from three). The Highlanders’ path to the Atlantic Sun championship game is more than doable—it went 4–0 against its likely opponents in the regular season—but a potential final against North Florida could spell trouble. The sleeper: Jacksonville has the No. 3 seed in the tournament, but No. 4 Florida Gulf Coast is the sleeper for two reasons. One, Jacksonville went 0–4 against North Florida and NJIT while FGCU went 2–2, and two, the Dolphins have lost four of their last five. Can “Dunk City” rise again? Which mid-majors could crash the NCAA tournament with at-large bids? The favorite: High Point won the Big South regular season for the fourth consecutive year, but the Panthers have lost in the quarterfinals of the conference tournament in each of the previous three seasons and have never played in the NCAAs since joining Division I in 1999–2000. It enters the Big South tourney on a six-game winning streak, but can High Point finally get over the hump? The contender(s): Winthrop finished tied with High Point in the conference standings but lost the No. 1 seed via tiebreaker. Since dropping three games in a row two months ago, the Eagles have won 12 of 14, though one of their two losses was on the road to High Point last week. The Panthers and Eagles are similar in that both have a pretty good offense and a mediocre defense, and a potential championship game between the two should be fairly evenly matched. The sleeper: Coastal Carolina nabbed the No. 3 seed by winning 10 of its final 12 games and sweeping the season series with UNC Asheville, but the two losses in that span were to High Point and Winthrop. The Chanticleers have a better defense than both, however, and could have a chance if they can slow down those teams’ offenses. The favorite: Hofstra came out on top of a very competitive league via tiebreaker after both the Pride and UNC Wilmington finished 14–4 in conference. Between that and the fact that Hofstra has won six in a row heading into the CAA tournament, it enters as the team to beat. The Pride have a double-double machine in sophomore big man Rokas Gustys and are led by two senior guards in Juan’ya Green and Ameen Tanksley, who have the talent to get this team to its first NCAA tournament since 2001. The contender(s): UNC Wilmington, Towson and James Madison are all real threats. Like Hofstra, UNC Wilmington only lost four conference games and had an 11-game winning streak at one point in CAA play. They have also defeated everyone in the conference at least once. James Madison has struggled a bit down the stretch but has the second-best three-point defense in the nation. And Towson rebounds very well and gets to the free-throw line, two skills that could keep the Tigers in any game. The sleeper: William & Mary may have the No. 5 seed in this tournament, but don’t count out the Tribe. The CAA has been a crowded league, and William & Mary has the top offensive efficiency, effective field goal percentage, turnover percentage and three-point shooting in conference play. Its defense may hold it back, but the Tribe could make things interesting. The favorite: Valparaiso has rode its elite defense all the way to a 26–5 record and 16–2 mark in conference play. The Crusaders boast the No. 4 adjusted defensive efficiency in the country and are holding opponents to 40.9% shooting on two-point attempts. They’ve defeated the entire Horizon League save for one team—Wright State, which won both regular-season matchups. Valpo could be a Cinderella candidate in the NCAA tournament, but the Crusaders have to qualify for the tourney first. The contender(s): Oakland and Wright State. Okland is led by 5’9” do-everything guard Kay Felder, whose versatile stat lines may only be trumped by LSU’s Ben Simmons. The Grizzlies know how to score and took Valparaiso and its defense to the edge on the road just a few games ago. Meanwhile, Wright State seems to have Valpo’s number, having taken down the Crusaders twice this season. Beating a team three times in once season is hard, but the Raiders would likely have more confidence than anyone should they face the Crusaders in the Horizon League final. The sleeper: Green Bay has been rather inconsistent this season (it went through a 12-game stretch where it didn’t win consecutive games), but before the Phoenix lost their regular-season finale to Valparaiso they had found some footing, winning four in a row. Green Bay’s biggest challenge is the fact that it is 0–4 against Valpo and Oakland, and odds are it would need to beat at least one to capture the Horizon League crown. But the Phoenix average 86 points per game and could be a tough out if their defense is able to step up. The favorite: Perhaps the most likable team in America, Monmouth has made waves this season with its moves both on the court and on the bench. The Hawks had one of the best nonconference seasons in the country and went 17–3 in MAAC play to win the conference’s regular-season title. Still, bad losses to Canisius, Army and Manhattan derailed their at-large bid chances for the NCAA tournament, putting pressure on Monmouth to win the MAAC tourney if it wants to go dancing. The Hawks have earned their status as the favorite going in, but as a recent 16-point loss to Iona showed, this won’t be a gimme. The contender(s): Iona finished right behind Monmouth in the MAAC standings and is a threat to take the tournament title. The Gaels have won nine of their last 10—including road wins at Monmouth and Siena—and have a star in A.J. English, who has poured in a combined 76 points in two games versus the Hawks this year. The sleeper: Siena is an odd case—the Saints are one of the very best teams in the country at offensive rebounding and one of the very worst at taking care of the ball. In their recent six-point loss to Iona they turned the ball over 18 times despite grabbing 20 offensive rebounds, yet previously beat Iona on the road while committing 23 turnovers. To string together three wins in a row, the Saints will need to find some consistency. The favorite: A few weeks ago Wichita State looked unbeatable in conference play, but slip-ups on the road at Illinois State and at home against Northern Iowa may have cost it a potential at-large bid. 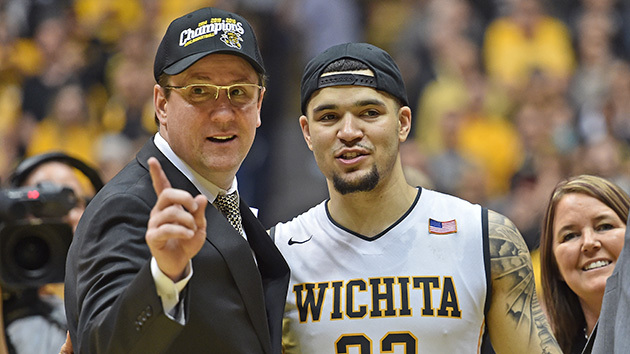 Still, the Shockers easily won the regular-season title and carry the most efficient offense in MVC play by far, led by senior guards Ron Baker and Fred VanVleet. Wichita State has only won the conference tournament once in the last four years, but the extra motivation of knowing it may need this championship to assure an NCAA tournament spot could be the difference. The contender(s): Evansville and Illinois State. Evansville leads the conference in field-goal percentage and points per game and boast the MVC’s leading scorer (D.J. Balentine), and rebounder (Egidijus Mockevicius). Illinois State beat Wichita State at home in early February, but can’t feel too good about the fact that they lost to the Shockers by 16 in the regular-season finale. When Illinois State holds its opponent to 70 points or fewer, it is 12–1 in conference play. The sleeper: Northern Iowa opened MVC play disastrously with a 2–6 start, but the Panthers closed with a 9–1 run. Despite its struggles at times this season, Northern Iowa is still a team that owns nonconference wins over North Carolina and Iowa State and has defeated each of Wichita State, Evansville (twice) and Illinois State in the month of February. The Panthers are certainly capable of winning Arch Madness. Bracket Watch: Which teams will wind up with No. 1 seeds? ​The favorite: The only team in the Northeast Conference with more than 15 wins, 20–9 Wagner partly benefitted from a weak strength of schedule to reach that mark and partly benefitted from its good defense, which ranks in the top 50 for effective field goal percentage, turnover percentage and steal percentage. That bodes well if it meets a team like Fairleigh Dickinson in the tournament final, which relies on its offense to win games. The contender(s): After winning only three league games a season ago, Fairleigh Dickinson went 11–7 in Northeast play this year to earn the No. 2 seed. The Knights have had the best offensive efficiency and shooting percentages in conference play but are hurt by their poor defense, which is a big reason for their -2.40 scoring margin. The sleeper: Sacred Heart had a disastrous nonconference slate, winning its first game against Quinnipiac before dropping 10 straight. 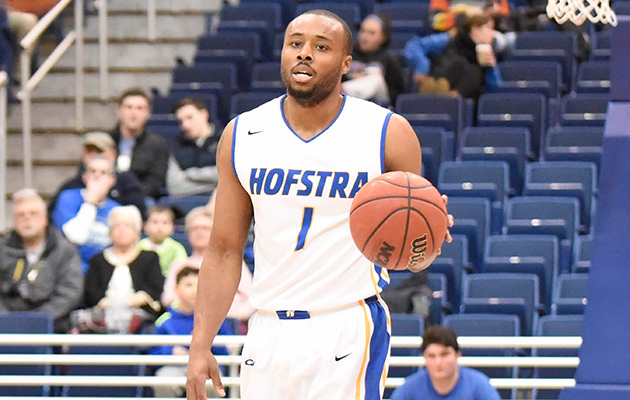 But the Pioneers rebuilt their season in conference play behind the effort of sophomore guard Cane Broome, the nation’s 10th-leading scorer, and they finished third in the Northeast. Can Sacred Heart top off its season-long comeback with a trip to the NCAA tournament? The favorite: A year ago, Belmont shocked a Murray State team that had gone undefeated in conference play and stole the league’s automatic bid. This year, the Bruins are the No. 1 seed—and every team’s top target. Belmont stumbled a bit down the stretch, going .500 in its final eight games, but it has a top-50 offense in terms of adjusted efficiency and leads the nation in two-point shooting. The contender(s): Tennessee Martin started OVC play 2–5 before reeling off eight straight wins, then lost to Murray State in the regular-season finale. The Skyhawks are a streaky team with a ton of experience, and with a double bye into the semifinals they only need to win two in a row in Nashville to go dancing. The sleeper: Morehead State has a more difficult path than Belmont and UT Martin, needing to win what could be a tricky quarterfinal game to reach the semis. One of the country’s top five teams when it comes to offensive rebounding percentage, the Eagles will need all the second chances they can get. 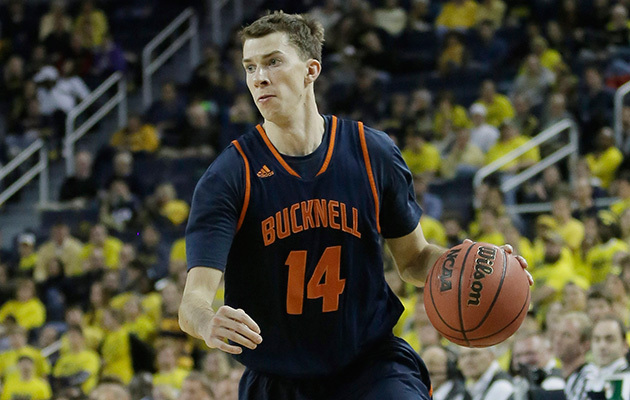 The favorite: Bucknell was the most efficient offensive and defensive team in Patriot League play, and its regular-season title helped ease the sting of losing seven straight nonconference games earlier in the year. The Bison will go as far as their defense takes them, as they gave up an average of 65.4 points in their 14 conference wins and an average of 81 points in their four losses. The contender(s): Lehigh made waves in 2012 when it knocked off No. 2 seed Duke in the first round of the NCAA tournament, but it hasn’t been back since. The Mountain Hawks challenged themselves with one of the hardest nonconference schedules in the country and struggled, going 1–9 against Division I teams. The scheduling might have just had a delayed payoff though, because when the calendar switched to February, the team started to clicked. Lehigh hasn’t lost since Jan. 31, which makes it dangerous heading into the conference tournament. The sleeper: Boston University, winner of eight of its last 10, should be able to get by American at home in the conference quarterfinals. In all likelihood it would then be tasked with slowing down Lehigh, the hottest team in the conference. The Terriers are actually the last team to have defeated the Mountain Hawks, but that game was in Boston and this one would be in Bethlehem, Pa., as the higher seed gets to host. ​The favorite: Chattanooga had a pretty successful nonconference season, beating Georgia, Dayton and Illinois. It also defeated everyone in the Southern Conference at least once en route to winning the regular-season title. The Mocs are one of the most experienced teams in the country (though so is second-seeded ETSU), and they are the most balanced team in the conference between offense and defense and boast a much-higher scoring margin than their closest challengers. The contender(s): East Tennessee State went 14–4 in conference play, but those four losses all came to the other top four seeds and it won its two games against its likely quarterfinal opponent, Mercer, by a combined five points. But the Buccaneers have been playing well of late and are led by 25-year-old senior Ge’Lawn Guyn, a former Cincinnati Bearcat who has played in three NCAA tournaments and will be looking to make it four. The sleeper: Furman has defeated each of Chattanooga, East Tennessee State and fourth-seeded Wofford this season, but the Paladins will bring a three-game losing streak into the Southern Conference tournament. Furman will be looking for its first NCAA tournament bid since 1980. The favorite: IPFW is one of the feel-good stories of the 2015–16 season, having won its first conference regular-season title since joining Division I back in 2001 (the title is shared with South Dakota State, but IPFW earned the No. 1 seed). The Mastodons are now looking to get their first tournament crown and head to their first Division I NCAA tournament. IPFW’s defense leaves a lot to be desired, so if it’s going to get there, it will be with its offense. The Mastodons rank sixth in the country in three-point percentage (41.6%) and will need that sharp shooting this weekend. The contender(s): South Dakota State had a strong nonconference season, which helped it build a top 50 RPI ranking. The Jackrabbits finished with the same Summit League record as IPFW in the regular season and are much more balanced between offense and defense, which could play to their advantage. South Dakota State has been far better at home than on the road, however, so the question it needs to answer is if it can string together three wins away from Frost Arena. The sleeper: Nebraska Omaha is a fast-paced team that plays well in transition and is extremely good at picking the pocket of its opponents, ranking 10th in the country in steal percentage. The Mavericks are only playing .500 ball in their last 12 games heading into the tournament, however, and have not won three in a row since early January. The favorite: Saint Mary’s is looking quite strong heading into the WCC tournament, but it’s probably safe to say the Gaels are rooting for San Francisco in its quarterfinal against Pepperdine. Saint Mary’s went 15–3 in the conference, including a sweep of Gonzaga, but fell to fourth-seeded Pepperdine twice. Should both the Gaels and the Wave win their quarterfinal, they’ll meet in the semis for Round Three. 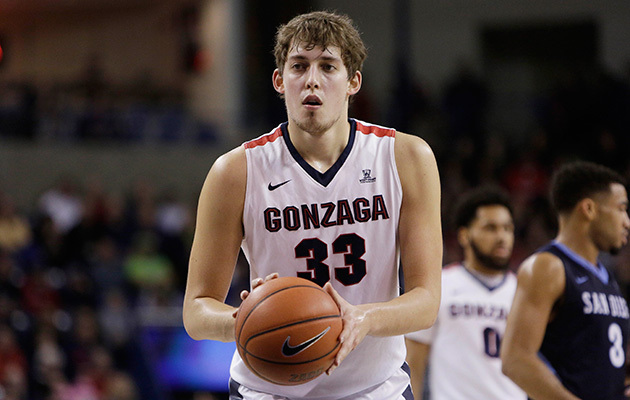 The contender(s): Is this the end of Gonzaga’s 17-year NCAA tournament streak? The Zags may have dropped both games to Saint Mary’s this season, but they still went 14–3 in the WCC and led in offensive efficiency, effective field goal percentage, three-point percentage and free-throw shooting during conference play. The sleeper: BYU. Gonzaga and Saint Mary’s may have received most of the attention in the WCC this year, but the Cougars have quietly had their own strong season and went 1–1 against both the Bulldogs and Gaels. Led by senior and triple-double machine Kyle Collinsworth, BYU has enough talent to win its first tournament crown since joining the WCC.